Pete Magill has coached his running clubs to 19 masters national championships. He’s a five-time USA Masters Cross Country Runner of the Year and the fastest-ever American distance runner over age 50 in the 5K and 10K. 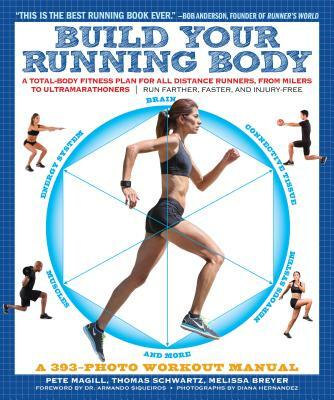 He is also the lead author of Build Your Running Body. He lives in South Pasadena, California. Thomas Schwartz runs the popular website The Run Zone, and is an exercise physiologist and coach. Melissa Breyer is the coauthor of True Food and is a Green Living columnist for Discovery Channel’s Treehugger.com.